Cameron and I saw the Chihuly exhibit with our friend, Nadine Prada, yesterday. It was like walking into a glass wonderland, filled with colour and light. A decade is a long time to keep failing. And yet, the result of all those mistakes is now enjoyed by millions, in museums, gardens, rivers, and hotels worldwide. We wouldn’t have these breathtaking sculptures without all the crashing and burning. As improvisers, we have the opportunity to make mistakes every time we perform. Chihuly’s work was a brilliant reminder of just what a gift that can be. 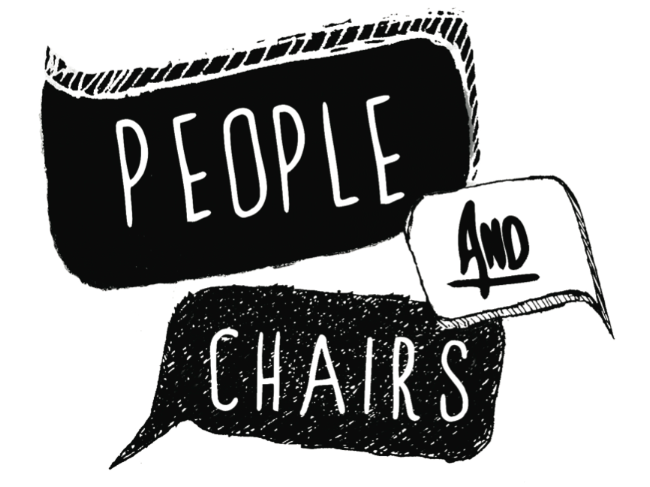 A great reminder thanks to People & Chairs.